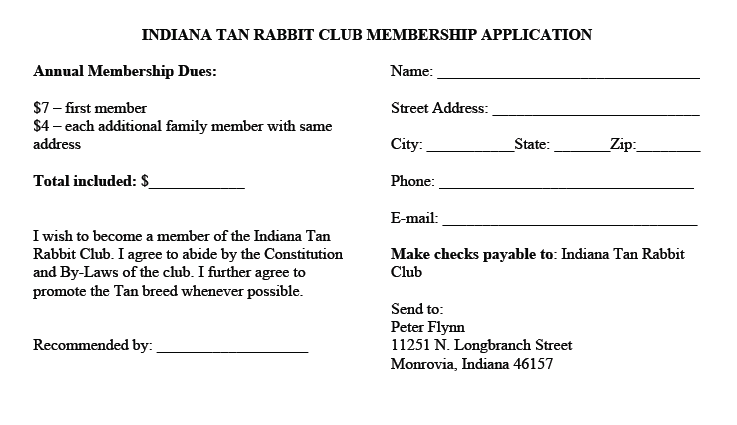 Indiana Tan Rabbit Club - Join Today! Membership dues may now be paid online with PayPal! If you choose to pay via PayPal the fee charged is added onto the total. If you would prefer to avoid PayPal fees you can still send in a paper application (see below). Please click here for the full membership application in PDF format.